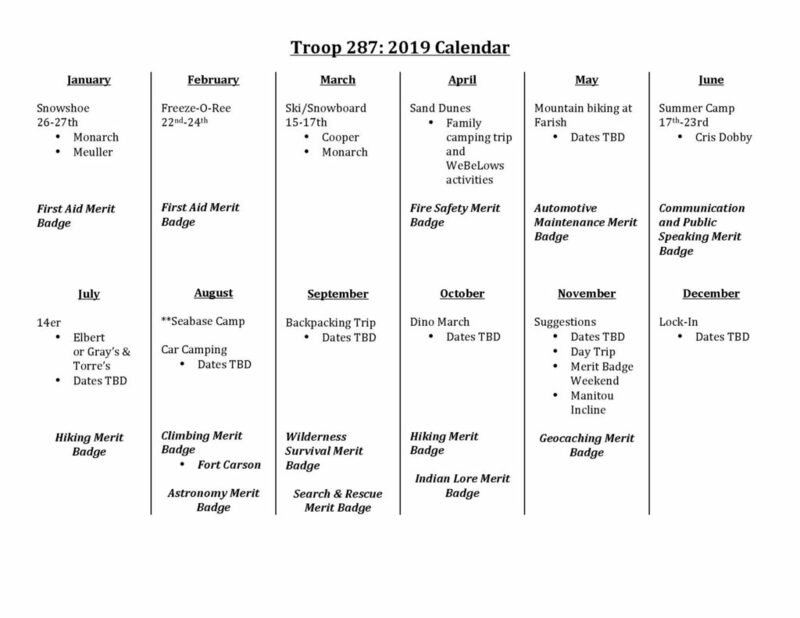 At our last meeting, the Troop put together a calendar of events for 2019. Some dates and times still need to be determined. When the Scouts and Leadership have more information, we will post the updates. The Troop has yet to decide on Service Projects or when they will have another Game Night.